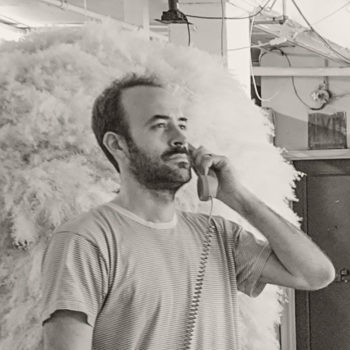 Zander Brimijoin is Creative Director and Co-Founder of Red Paper Heart, an interactive art studio in Brooklyn. After over 10 years as an Art Director, and an MFA to boot, Zander left his career to combine art, technology... and bears. The result was Red Paper Heart, a studio that has created large scale installations for likes of Sonos, Red Bull Studios, BMWi, MOMI, and Google. Zander makes people run, jump, and maybe even find unexpected joy in life.